The world’s first commercial jet, the De Havilland Comet, premiered in May of 1952. Sixty-five years later, another jet known as the Boeing 737 Max was introduced in May of 2017. While their stories may share some astonishing similarities, they don’t have to share the same fateful conclusion. In 1953, a De Havilland Comet crashed after takeoff from Calcutta, prompting the Indian government to open an inquiry. In 2017, a Boeing 737 Max 8 crashed after takeoff from Jakarta, prompting the Indonesian government to do the same. On Sunday, the 10th of January 1954, a second Comet went down after taking off from Rome. On Sunday, the 10th of March, 2019, a second Max went down after taking off from Addis Ababa. Both fleets were grounded pending more thorough investigations. In connecting the crash sites on a map, a more bizarre parallel emerges. The second Comet went down off the coast of Italy, approximately 4600 miles northwest of the previous crash near Calcutta. The second Max went down near Addis Ababa, approximately 4600 miles northwest of the previous crash off the coast of Java*. On Monday, January the 11th 1954, an investigation was opened into the De Havilland Comet disasters. One month later, the British Overseas Airway Commission (BOAC) reported their preliminary findings to the Minister of Transport and Civil Aviation. As the first commercial aircraft to incorporate jet engine technology, a new set of variables differentiated the Comet from other planes. Early media coverage speculated on various possible causes such as sabotage, malfunctioning power controls and heavy loads. Meanwhile, crewmember reports revealed a concern for a lack of training along with the Comet’s new electronic and navigation systems. Weighing on De Havilland and BOAC engineers was mounting pressure to accelerate their analysis. Britain’s leaders hoped Comet sales would give the country the economic boost it needed in the wake of World War II. The future of Britain depended heavily on the success of the Comet. For the sake of expediency, De Havilland implemented a series of modifications to the satisfaction of regulatory officials. Despite an ongoing investigation, the BOAC recommended the Comet resume service by April 1954. It didn’t take long for their decision to prove fatally tragic. On Tuesday, April 9th, a third plane crashed. Everyone onboard was killed. Had this passenger jet’s service been restored prematurely? It took months before investigators reached a breakthrough. They identified a definitive cause for the crashes and by the end of the year, their inquiry was officially closed. The findings revealed a moment of clarity through the windows. For propeller planes predating the Comet, square-shaped windows were the norm. 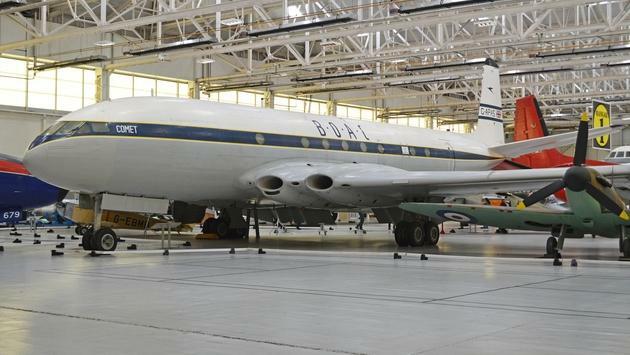 However, the Comet was the first commercial jet of its kind. It could fly higher and faster than ever before. Engineers hadn’t foreseen the corners of the windows as a potential point of weakness. They hadn’t predicted this would translate into metal fatigue around the frame. This was subject to rapid fluctuations in altitude and recurring pressurization cycles inside the cabin. Eventually, the framework gave way and the Comet exploded. That’s why jet windows are round. The Comet is to thank for this seemingly extraneous feature. Today, advancements in aviation are under scrutiny once again with an investigation into the Boeing Max disasters. By incorporating advancements in computer engineering, a new set of variables differentiate the Max from earlier 737s. Early media coverage has speculated on various possible causes from the Max’s more forward engine placement to automated software known as the Maneuvering Characteristics Augmentation System (MCAS). Meanwhile, crewmember reports reveal a concern for a lack of training along with the Max’s new electronic and anti-stall systems. 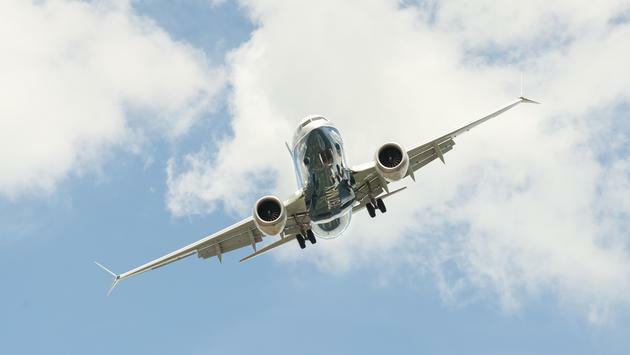 According to the Seattle Times, mounting pressure for Boeing and Federal Aviation Administration (FAA) engineers to accelerate their analysis of the Max existed from the start. Investors are nervous as the temporary grounding jeopardizes economic survival for hundreds of companies and thousands of workers around the world. Last week, Boeing released a statement announcing a software update they plan to install by the end of April. It’s anticipated the FAA will recommend it to resume service despite the ongoing investigation. What could go wrong? For starters, anyone who owns a smartphone is familiar with the reliability of software updates. That’s because mobile supercomputing is one of the developing technologies to emerge in the 4th Industrial Revolution. Also evolving are process control systems and automatic pilot avionics, which are being integrated into new aircraft. As it has been the case for previous industrial revolutions, it’s crucial for regulatory bodies to be vigilant in times of change. With these light-speed advancements, there must be a vested interest in public safety to keep the pace of expansion in check. Such oversight might have benefited De Havilland in pioneering jet engine technology, which was paramount to the 3rd Industrial Revolution. Instead, De Havilland’s reputation was tarnished beyond repair as a result of the Comet disasters. Even a £10 million government bailout to “safeguard the public interest” wasn’t enough to save De Havilland from bankruptcy. Interestingly enough, that’s when Boeing took over the market. The U.S. has dominated aviation ever since. That is, before the Airbus came along. This EU manufacturer is poised to capture the market should Boeing falter, which would shift control of this industry back to Europe for the first time in sixty years. Whether or not this happens will depend on Boeing’s handling of the Max situation in conjunction with the FAA’s willingness to proceed fastidiously. In recent years, the FAA has received criticisms for growing complacency, lax enforcement of regulations, and a reluctance to respond to the demand for passenger rights and safety legislation. More pertinently, the agency insisted the Max was airworthy until the U.S. was the only country left to not have it grounded. Fortunately, there’s still hope the watchers are being watched. 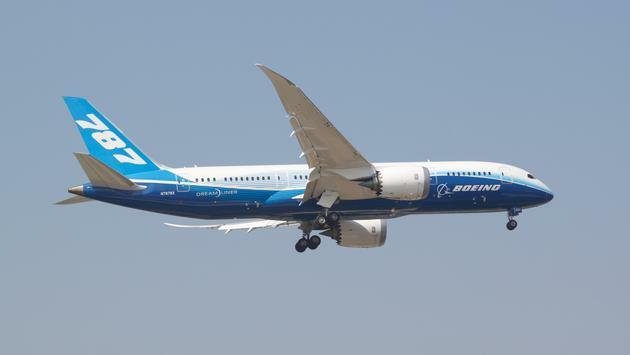 Over the weekend, The Wallstreet Journal reported on a separate inquiry opened by the Department of Transportation (DOT) to investigate the Max and the FAA’s supervision of Boeing. While it’s too early to tell how this story will end, the allegory of the Comet serves as a cautionary tale for Boeing. Underscored is the importance of maintaining a steady pace for progress in order to achieve longevity. Hopefully, these lessons will not have to be re-learned the hard way.